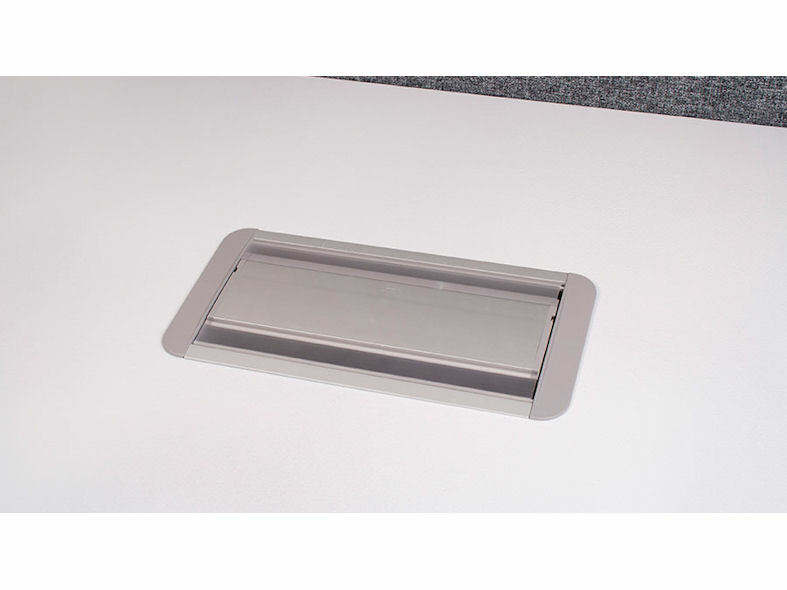 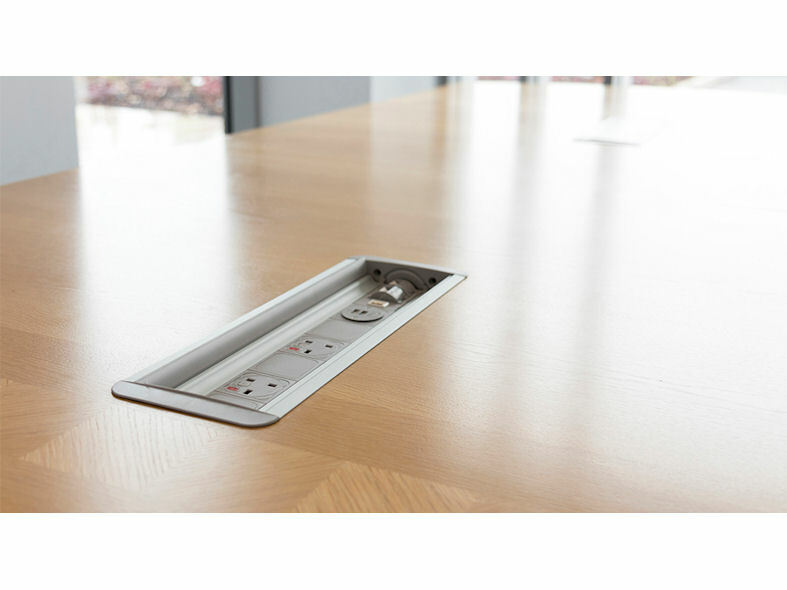 Versatile in-desk unit fitting flush to the worktop allowing full use of the workspace. 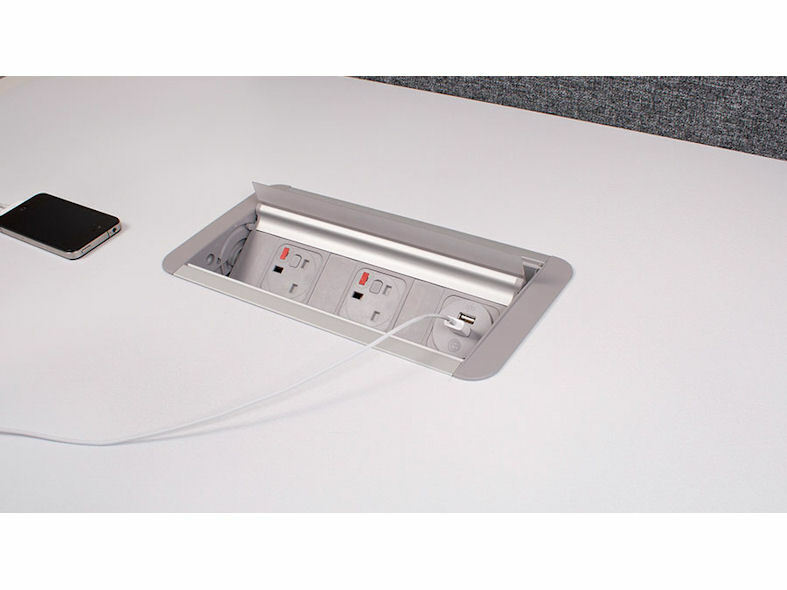 Particularly suitable for meeting tables and other locations where space or uncluttered appearance is important. 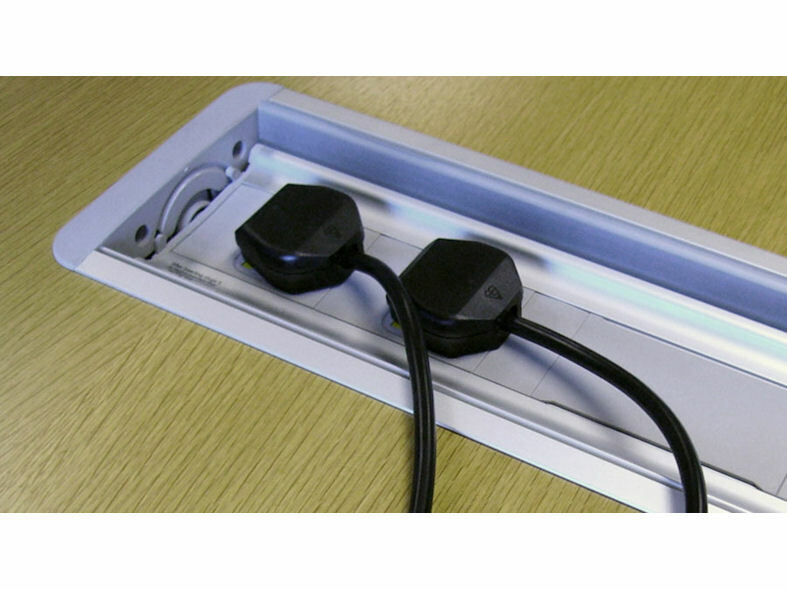 Standard finish anodised aluminium with grey plastic mouldings. 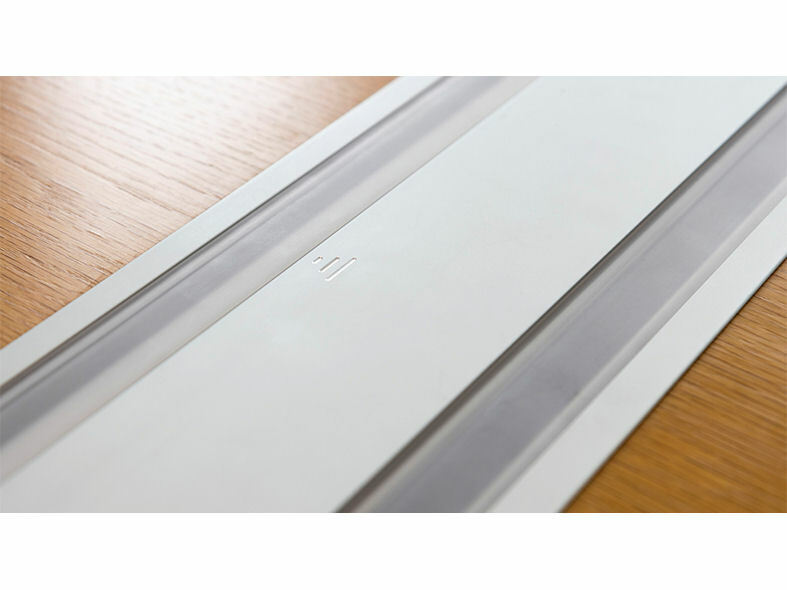 Also available with a variety of specialist finishes including gold and brass with plastic fascias. 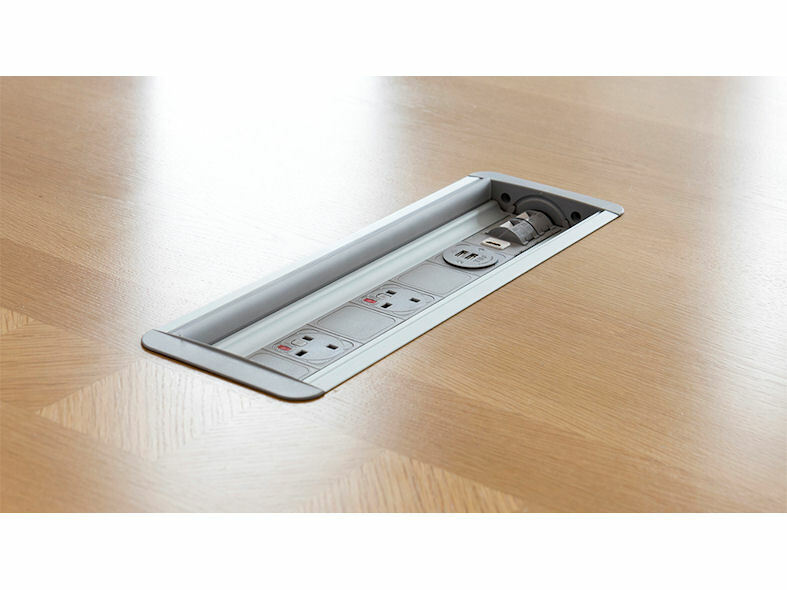 The PLATINUM is designed to operate in the closed position with equipment plugged in. 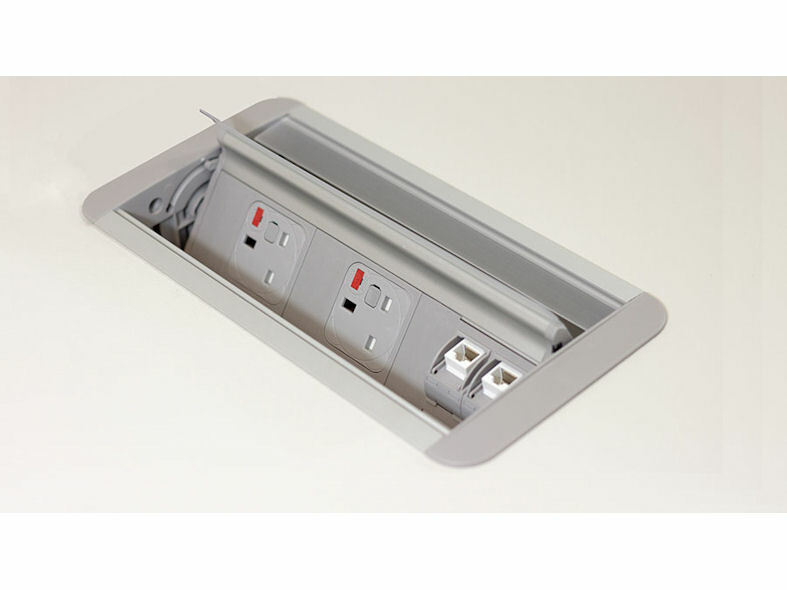 Capable of being closed with most standard types transformer plugs connected. 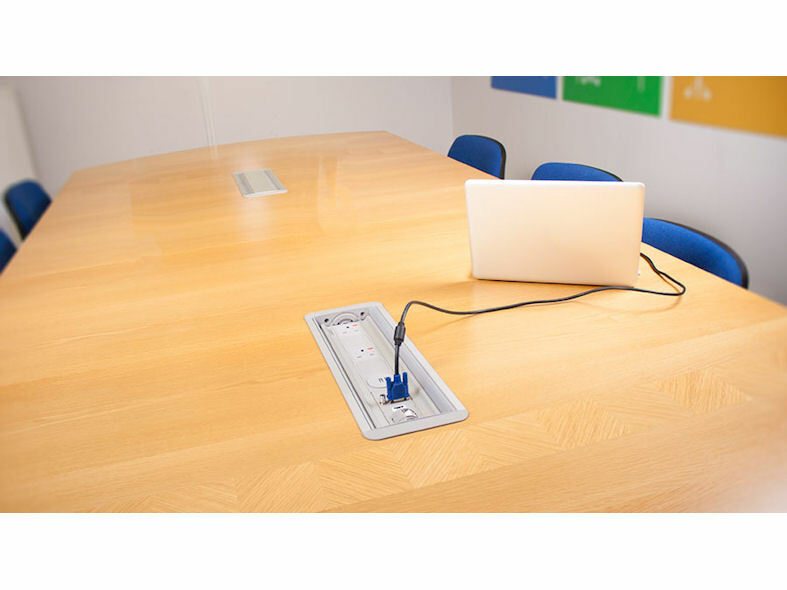 When in the open position it can be accessed from both sides making the PLATINUM particularly suitable for the centre of meeting and boardroom furniture.